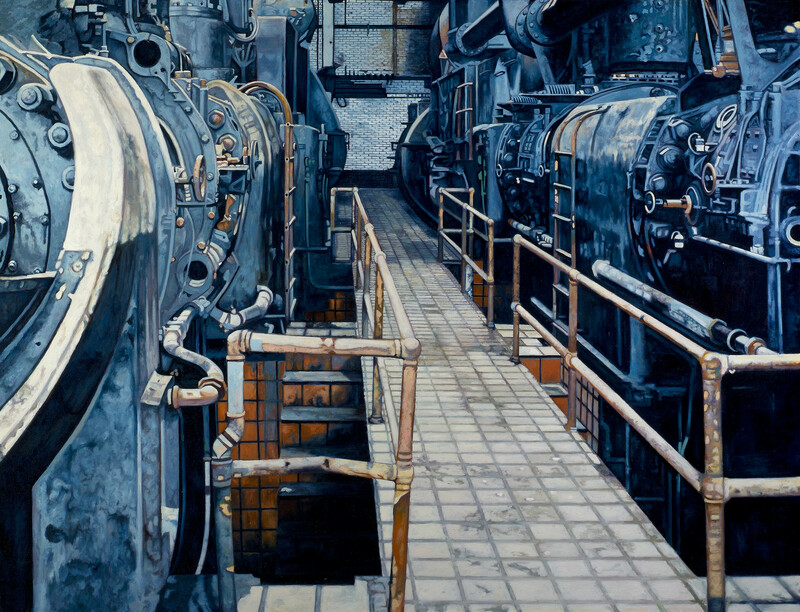 Michael Banning, a painter from Chicago, Morgan Craig, a painter from Philadelphia, PA and Mark Slankard, a photographer from Rocky River, Ohio, will be taking a look at urban environments from the perspective of growth and decay. A building is a construct containing culture, identity and history within an architectural space. Banning, Craig and Slankard approach architecture viscerally, allowing the viewer to experience the positive and negative spaces that time, weather and human activity has created in the urban landscapes portrayed. Banning’s realistic paintings evoke historical markers, capturing a moment in the life of a building; containing dates, names, times; lacking individual figures, but incorporating a human presence. 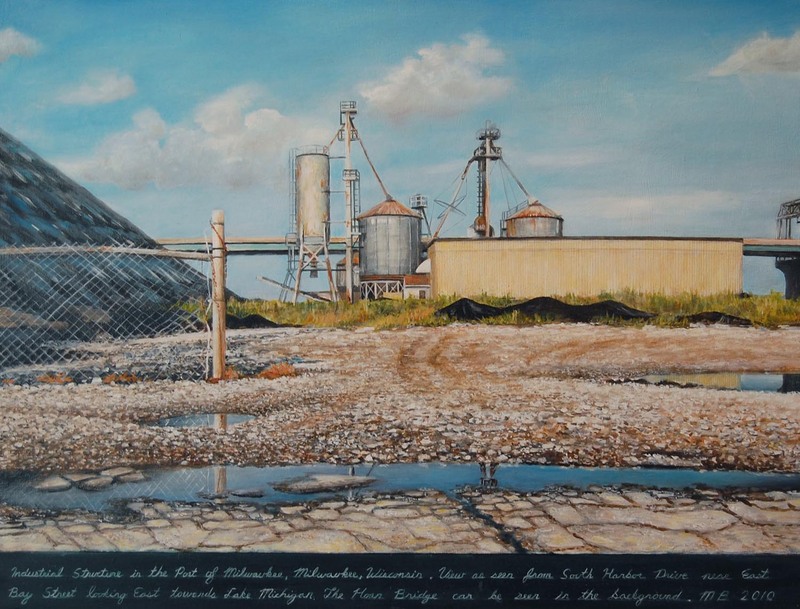 In Craig’s large-scale paintings, one or two colors often dominate, setting a tone to the abandoned scenery. Objects painted in saturated yellows seem to absorb the light, while warm, soft ochres and cool, diluted cerulean blues provide the emptiness of the environments with a certain vibrancy, a remnant of the energy the spaces once possessed. 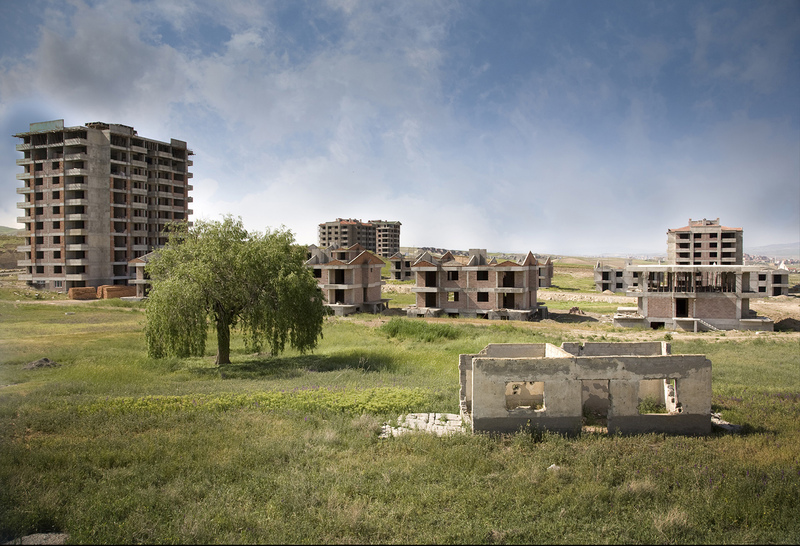 Slankard’s imagery of an expanding suburban Turkey creates dissonance between completed structures, partial constructions, and the natural landscape. It’s as if the whole environment feels incomplete: the photographs appear fragmented, each building seeming to possess its own space, as distinct from the grass, trees and sky that surround it.